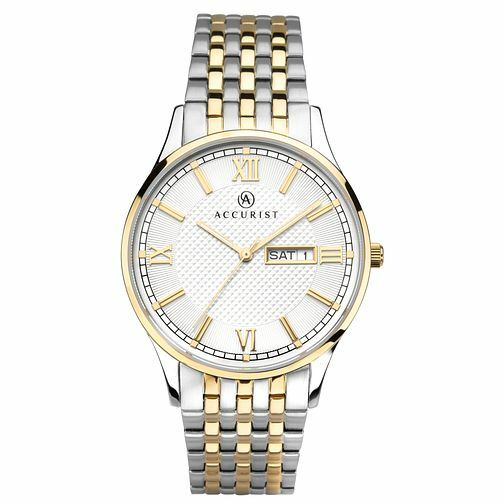 Exude confidence with the Accurist Signature men's classic timepiece featuring a solid stainless-steel and gold plated bracelet, slimline case and scratch resistant sapphire crystal glass. This piece has a striking silver sunray dial with day/date display alongside, and is splash-proof. Includes 2 year guarantee.